This modern styled accent chair will add a new level of life and color to your living room decor. Featuring blue and white color patterned linen upholstery over wooden feet. this will create an elegant and royal contemporary style in your living room environment. It features cushion seat and back support to give greatest comfort while seating. This accent chair features straight arm-rest and slightly slanted design. 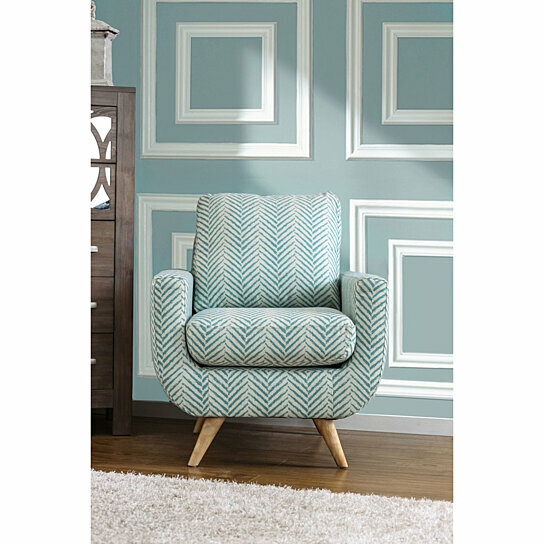 Match this accent chair with any style or material furniture and it will not go unnoticed.